University of Central Arkansas student Eryka Williams has been named National Intern of the Year through the Cooperative Education and Internship Association. Earning the award was the icing on the cake for Williams. 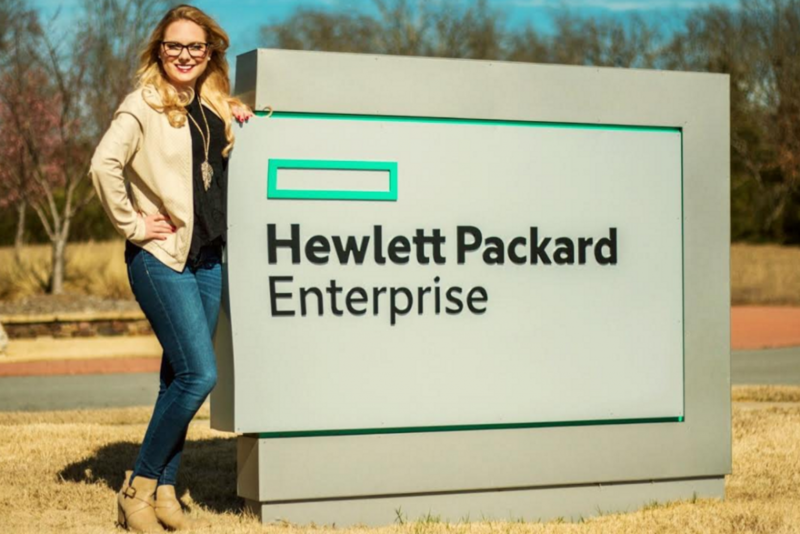 Interning with Hewlett Packard Enterprise since Jan. 11, 2016, Williams accomplished multiple goals and delivered a high level of quality in all of her projects. Being accountable, communicative and achieving 100 percent on-time delivery on every project assigned afforded her the opportunity to be named UCA’s Intern of the Year, prompting her to apply for CEIA Intern of the Year. Dr. Jim Downey, chair of the Department of Management Information Systems, nominated Williams for the UCA Intern of the Year designation. “Eryka is a student in one of the most technical majors on campus and one of the most difficult ones. She has excelled. She is resolute in her pursuit of learning the material, and in my class, she was not satisfied with just learning,” he said. After completing her internship, Williams now serves as the support cutover lead for the Americas region for 54 human resources and payroll applications and is now employed at HPE where she continues to model excellence and make an impact in the workplace making herself and UCA proud. “Not only does Eryka deliver results, but she does it with a smile on her face. She comes in every day with a positive attitude and motivates others around her,” said Hannah Osborne, William’s supervisor at Hewlett Packard Enterprise. Williams is a management information systems major from Cabot and graduates in May 2017.